Carnevale is the Venetian Mardi Gras. 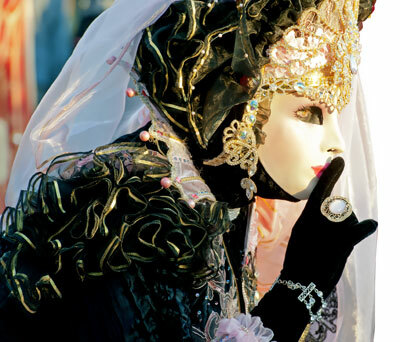 For many centuries Carnevale offered Venetians an extended period of revelry during the darkest nights of the year between Christmas and Ash Wednesday, the first day of Lenten abstinence and penance. Austria outlawed Carnevale in 1797 when Venice was under Austrian occupation. Carnevale was officially revived in 1979, primarily to attract tourists during the winter off-season, not as a libidinous bacchanal.